The dog is known to have originated in Switzerland. Early paintings of the eighteenth century depict similar dogs being domesticated and used as herders and drafters. 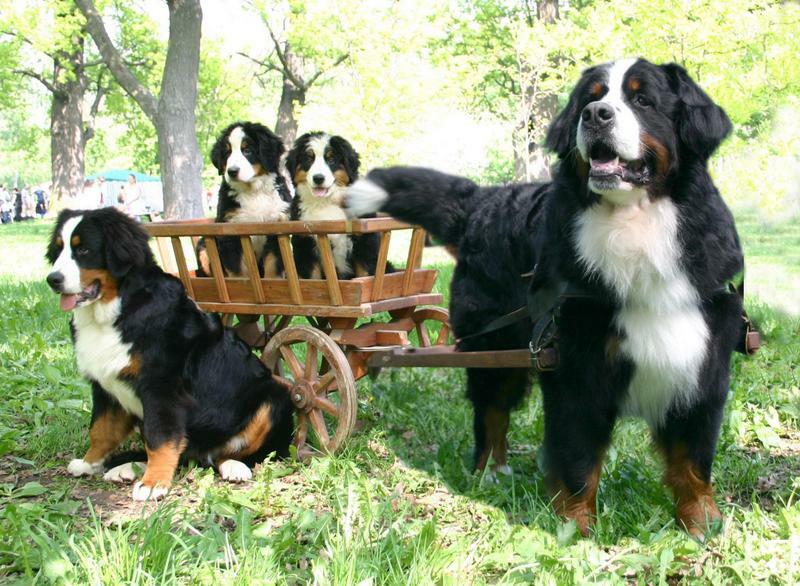 It is likely that Berners have been around for as long as 2000 years, working for humans by pulling carts, standing watch, accompanying livestock and providing companionship. 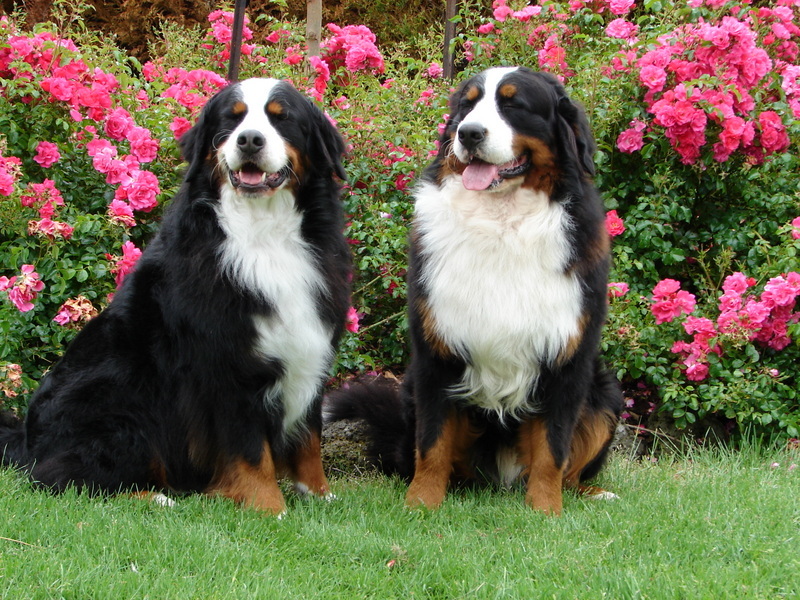 The numbers of Berners began declining in the late nineteenth century with different dogs being imported to Switzerland. 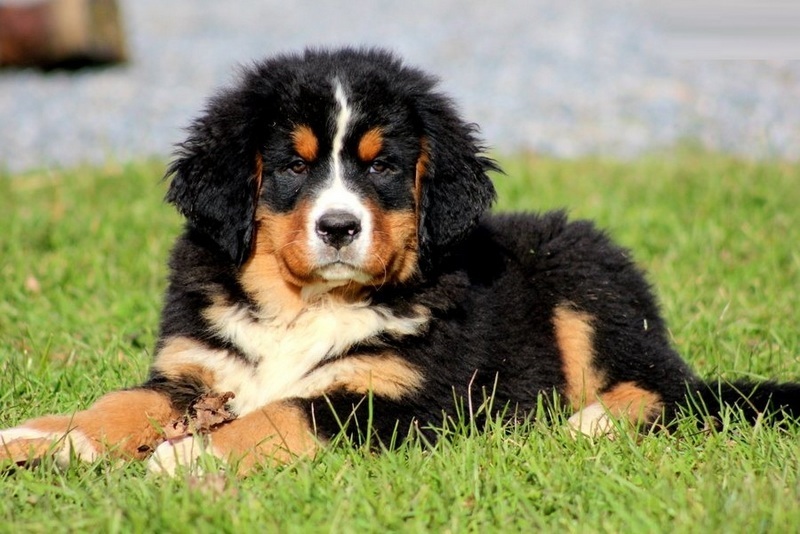 Berners are large, sturdy and agile mountain dogs that proudly host a thick coat of hair. 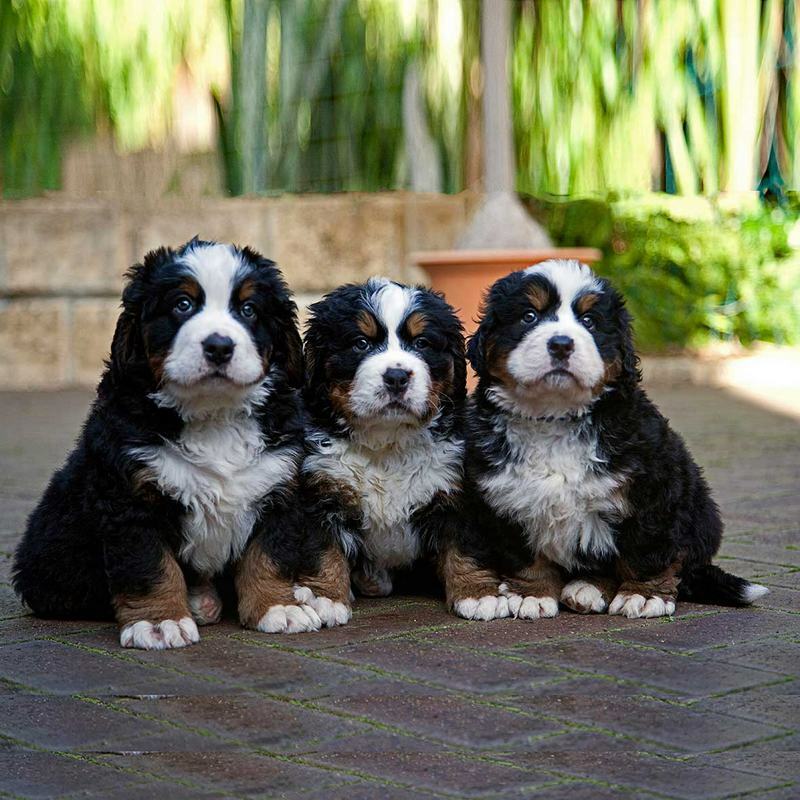 These dogs have been traditionally domesticated and used for work and Berners require a lot of physical activity as they are very energetic. 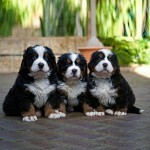 Berners love kids and being a part of a family and are gentle and non-aggressive in behavior. They are usually black in color, with white and rust patches. While the Berner is kind and gentle, if given a task such as guarding cattle, the dog proves to be a tyrant and keeps everything in check. It is recommended to feed the dog two meals in a day, consisting of high quality dry food. The amount of food should be about 3 – 5 cups, depending on the size, metabolism and activity level of the dog. Berners prefer to live with the family. They should not be tied outside because they are best used as kennel dogs and they also require regular exercise to stay physically and mentally fit within their environment. They should be placed in small fenced yards for safety and convenience. To stay fit, they require at least 30 minutes of exercise daily. 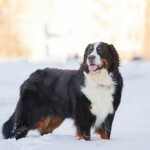 Bernese Mountain Dogs love snow and cold due to their rugged appearance and heavy coat. However, their black coats and huge size makes them susceptible to heat and they are best suited to weather-controlled environments. To keep them safely within their surrounding, a fence with height ranging from four to five feet should be provided. 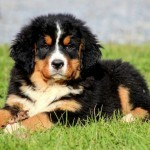 A Berner with a good temperament proves to be playful, curious and also approaches people and is willing to be held. Early socialization will produce a well behaved and all rounded dog. The Berner is a caring, gentle and affectionate dog. He is also quite intelligent and active and loves being part of a family. As with large dogs, Berners take some time to mature mentally and become very attached and protective about their family. They are usually not aggressive at all and shy away from strangers. It is recommended to expose a puppy to as many people and situations early on so as to help him get over shyness. 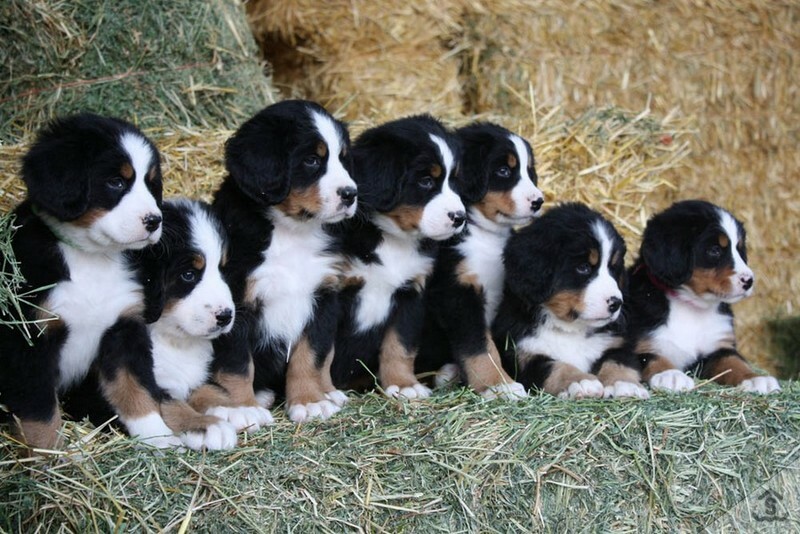 At the puppy stage, Berners learn to freely interact with humans and this stage lasts for a period of 6 – 18 months. Secondly, the dog experiences rapid growth in size and adapts to its body change at the adolescent stage. Thereafter as adults, Berners do not stress themselves and they exercise more. Finally at the senior stage, they age and behave slower. This stage lasts for 5-8 years for Berners. Berners fall prey to carnivores when they are in the wild form. However, natural disasters, diseases and man remain predators to domestic Berners. 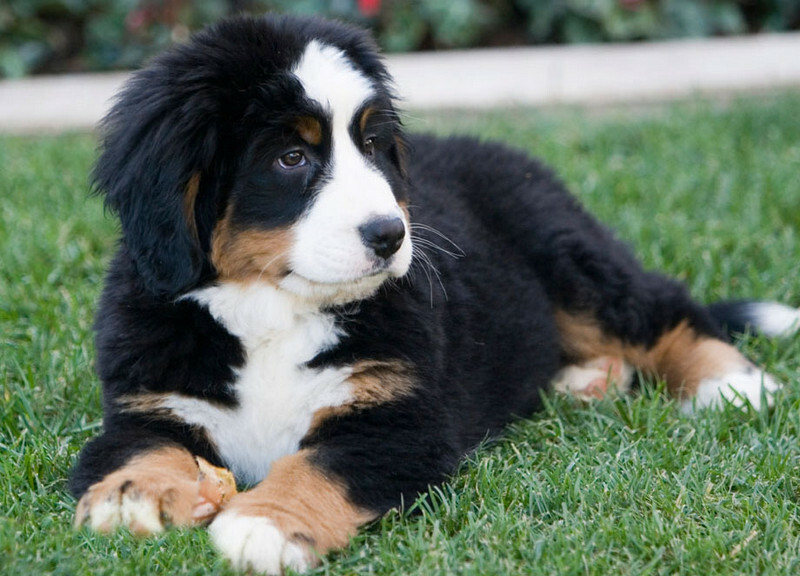 Before choosing to breed a Berner, ensure that you provide a well fenced yard for it. They love cold climate and are easily affected by heat stroke. To limit events of heat stroke, exercise the dogs only at morning and evenings and ensure to keep them at cool areas (air-conditioned rooms) during hot weather. 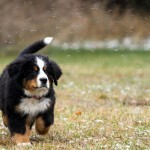 If you are raising a Berner puppy, ensure that you provide foods with low amount of calories to prevent them from growing excessively fast. Also, do not allow puppies play on hard surfaces to prevent bone damage. 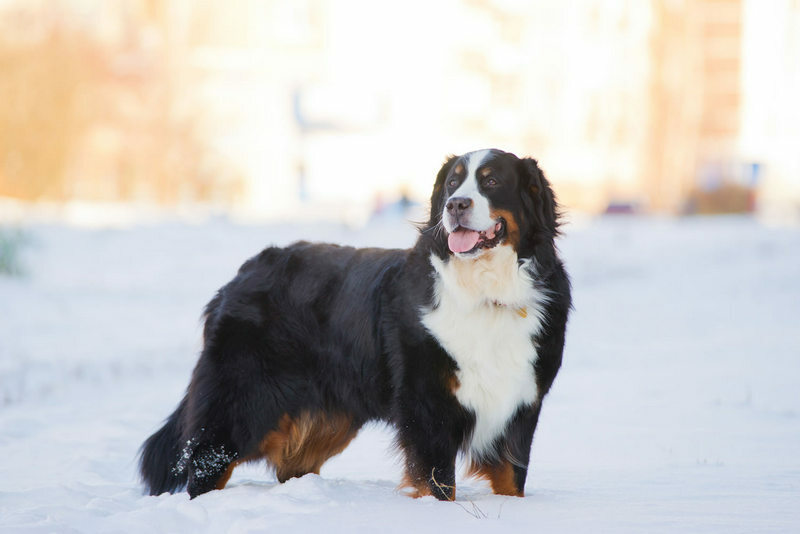 Berners are large in size and require quite a lot of activity and exercise every day. 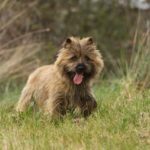 The minimum recommended amount of exercise that a dog should receive is at least thirty minutes of brisk walking every single day. However, in order to keep a Berner in top health conditions, it is recommended to triple this amount of exercise. 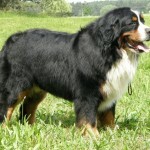 Berners are used to cold conditions and exercises routines must be carried out only during the mornings and evenings. 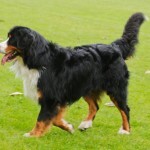 Berners are large mountain dogs which have a very thick coat of long hair. 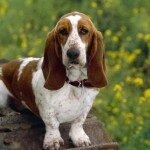 The head of the dog is typically flat towards the top and the ears are rounded, medium sized and triangular. The legs of the dog are strong and straight and toes are curled. The tail is quite bushy and is usually carried low. 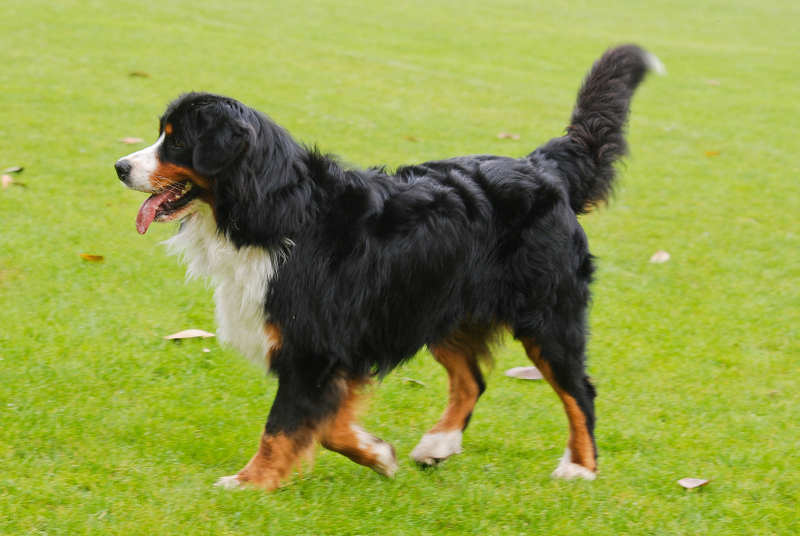 Berners are large dogs that range from 58 – 70 cm in height. The dogs may weigh anything in between 36 – 50 kg. The Berner proudly hosts a thick double coat of hair, with a wooly undercoat and a long overcoat. While the coat is tricolored, most of the coat is black in color, with some areas of white and rust across the tail, chest and the eyes. Their average lifespan ranges from 7 – 8 years. They undergo four stages in their lifecycle. Dysplasia of the hips and elbows. They are also prone to bloating and gaining weight. The reasons behind these health problems are attributed to genetic factors. 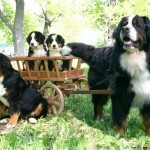 It is best to consult a veterinarian in case of health problems in a Berner as they usually prove to be complicated. 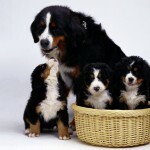 Berners have long thick coats, and frequent brushing on a daily or on a weekly basis is recommended. Extra care is to be provided during the seasons of shedding of hair. Bathe the dog and use a dry shampoo when necessary. 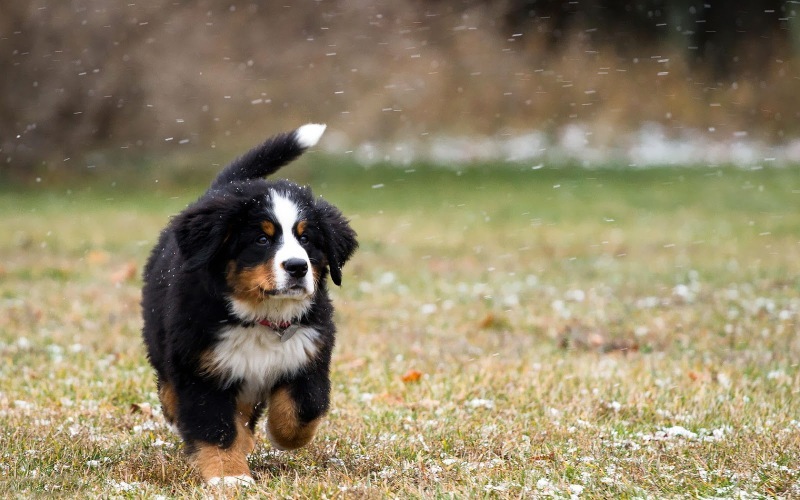 Berners shed their skin all year round and during seasonal changes, they shed their skin the most.As a breeder, expect to see a lot of hair scattered around your home. 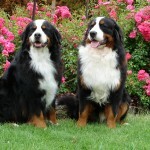 Bernese Mountain Dogs are large dogs with thick coat of hair. Despite their kind nature, they can still behave like tyrants when they are given tough tasks. They prefer high quality dry foods. They love cold climates but are best suited to climate-controlled environments. Generally, they are playful and curious. They are very gentle, affectionate and intelligent dogs. They undergo four stages in their lifecycle. These stages are: puppy stage, adolescent stage, adult stage and senior stage. In their wild form, they fall prey to flesh eaters like lions and tigers. 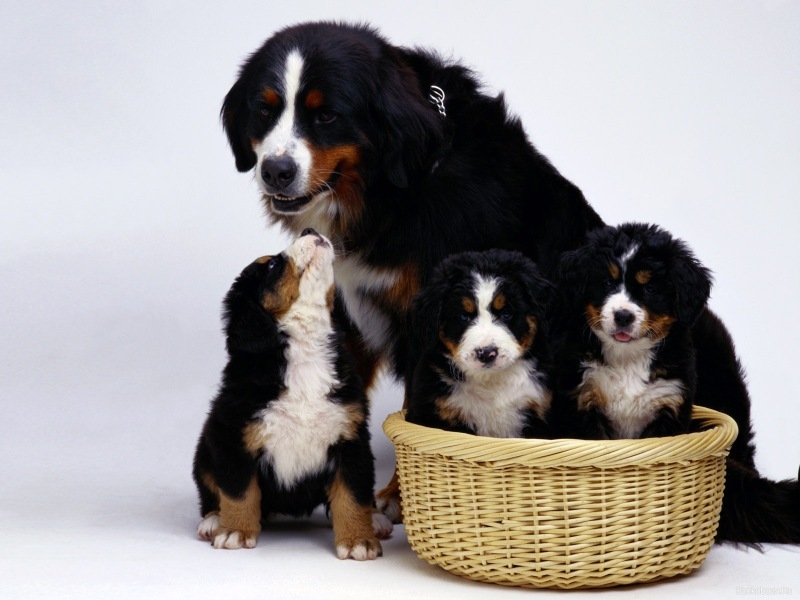 Bernese Mountain dogs are easy to breed. 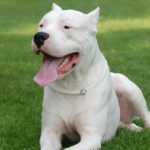 They are large dogs with three colors namely rust, white and black. They live for 7 – 8 years. Cancer, hip dysplasia and elbow dysplasia are examples of diseases that affect these dogs. They shed their skins once or twice yearly. 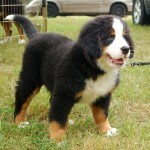 Its common name is Bernese Mountain Dog. 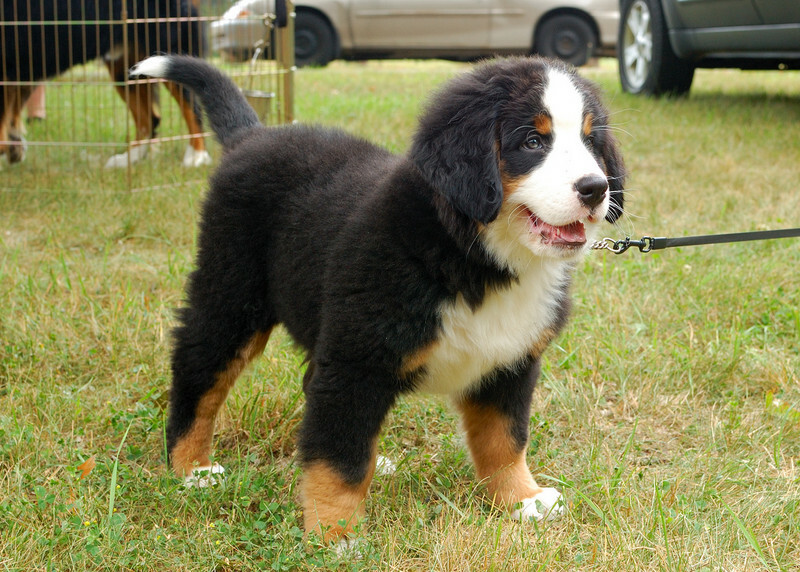 Other names given to Bernese Mountain dogs include: Bernese Cattle Dog and BernerSennenhund. 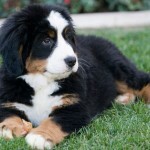 Bernese Mountain Dogs are large and sturdy breeds of dogs. They belong to the working dog breed group (AKC). 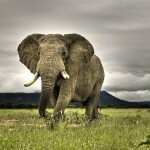 Their average life span ranges from 7 – 8 years. The average height of their males ranges from 64 – 70cm while the average height of females ranges from 58 – 66cm. The average weight of males lies between 39 – 57kg while for females, it lies between 36 – 54 kg. They possess three colors on their body. These colors are black, white and rust. 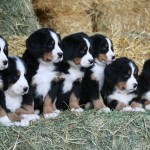 Prices of Bernese Mountain puppies range from $800 – $1000 depending on their sizes, location and health. This species of dog sleep for 14 – 16 hours daily. 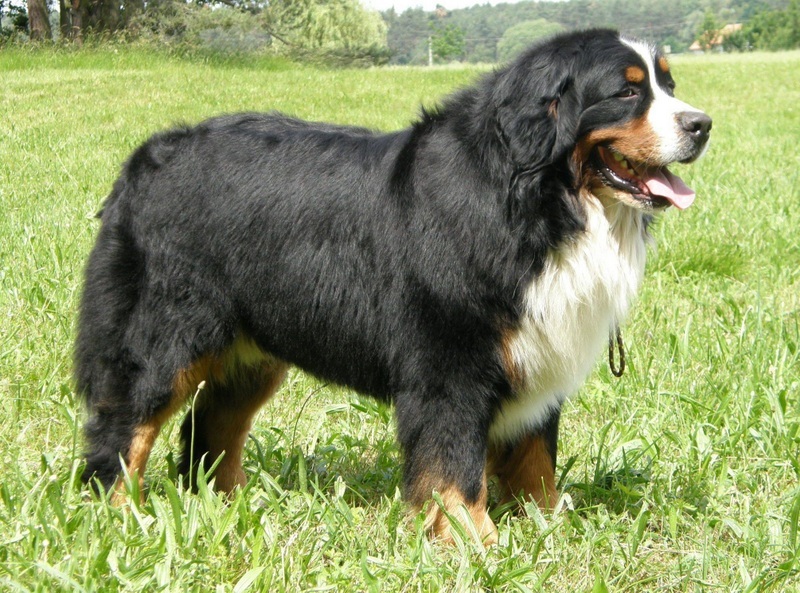 Lower classification of Bernese Mountain dogs include: Greater Swiss Mountain dog and AppenzellerEntlebucher Mountain dog.